I was experimenting the day I took this picture. 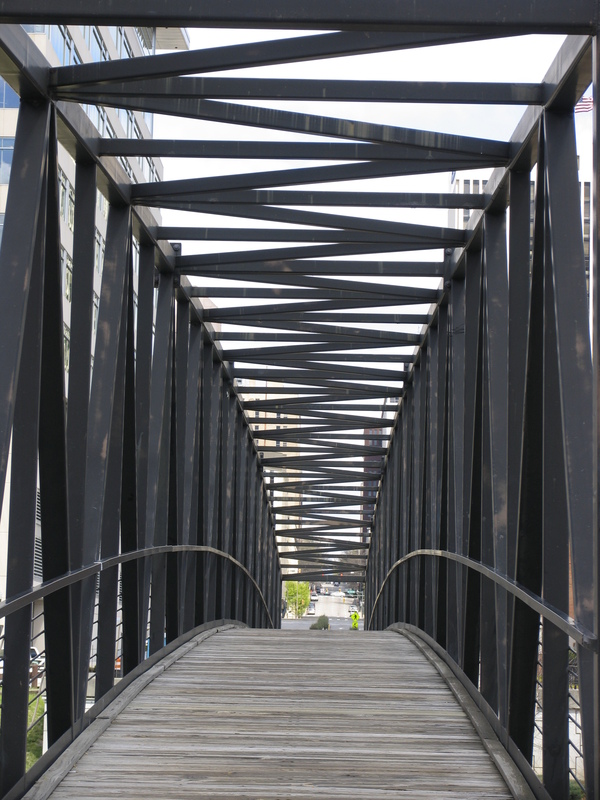 I loved the bias of the upper part of this bridge as it criss-crossed against the sky. Word for tomorrow – ALAS. If you prefer to work ahead, see the list for the week under “A Word A Day”. I love these types of pics. One of my favorite things to experiment with…bridges. Love it. There are so many bridges along my daily walks and I’ve had fun trying to photograph a number of them. This one turned out so great though with that upper part of the bridge. Thanks for the compliment! Would not have thought of this image for the word “bias.” But as soon as I saw it, I knew what you meant. Bravo for scoring a homerun!!! Taking the daily photos has been a big help in doing this challenge. Some of the words have been hard to tell a story about! It did remind me of your photo, although I’m always amazed at how differently your interpretations are from mine. It’s very enjoyable and I’m glad you’re doing it.